Nickel plated, Furniture button tufter. 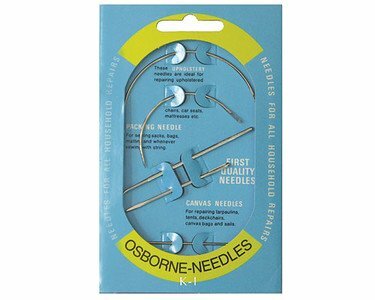 Osborne quality needle. Thread twine in round hole of clasp, hook square hole on needle and push then withdraw needle. Directions included. 2 oz. Plastic Handle for comfort. C.S. 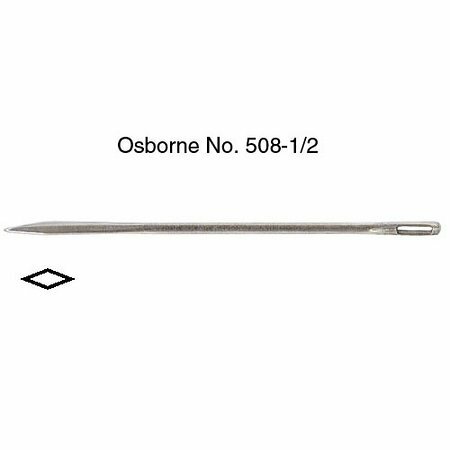 Osborne Automatic Sewing Awl Replacment Needle. Short straight needle for C.S. 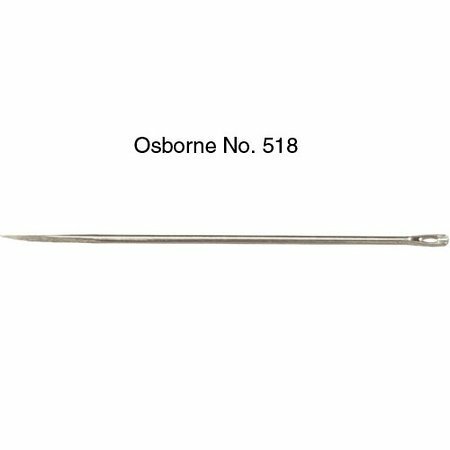 Osborne #413 automatic awl. 1-3/4" long. Made in USA. C.S. 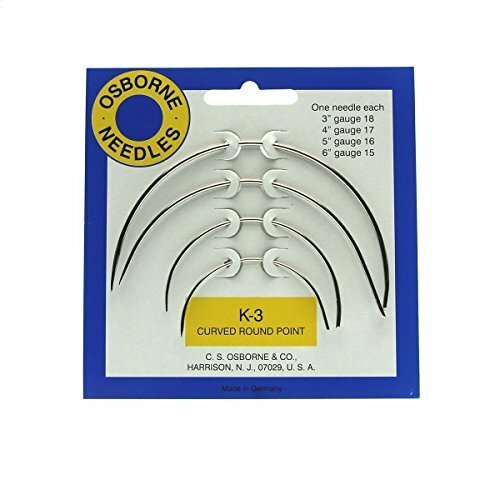 Osborne K 3 Curved Round Point Needle Pack. 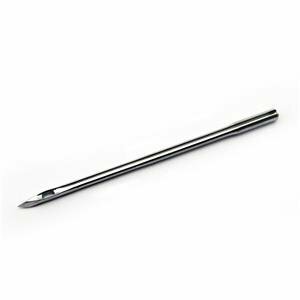 This Is A Pack Of 4 Needles. One Each: 3" 18 Gauge, 4" 17 Gauge, 5" 16 Gauge, 6" 15 Gauge. These Needles Have A Large Eye For Heavy Thread. Diamond point. 12 gauge. 4" Long. 1 dozen needles per package. 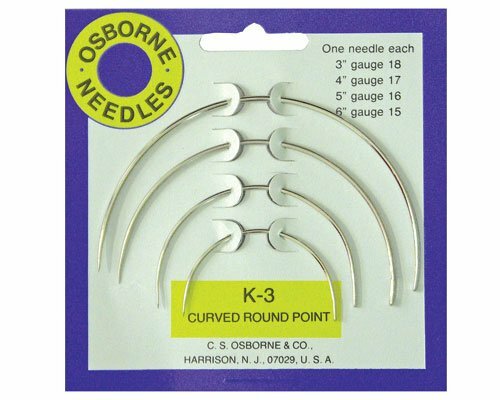 Straight single round point needles. 13 gauge. 8" Long. 1 dozen needles per package. 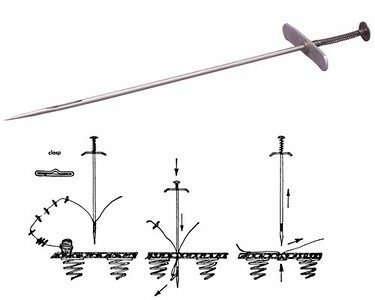 Size is based on overall length of the needle. Glovers' Needles, Sharp points. 18 Gauge, 2" long. 25 needles per package.